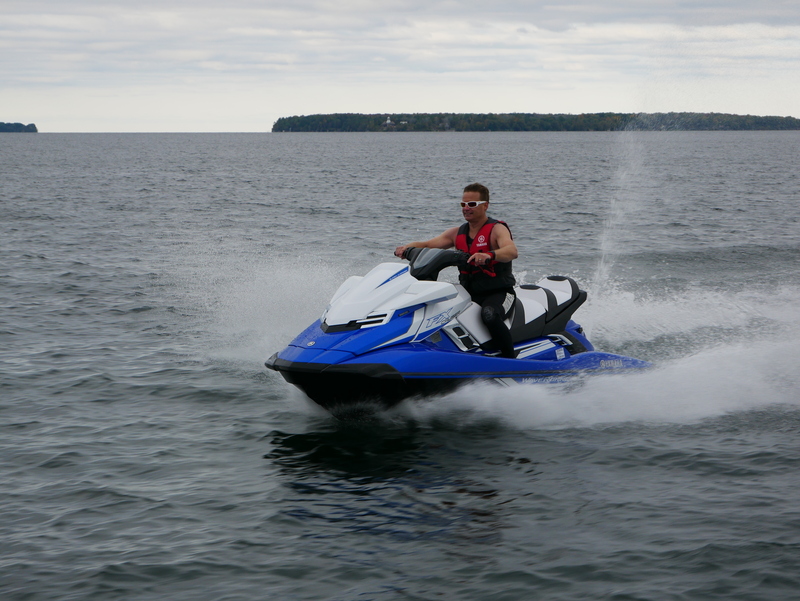 I’ve been lucky enough to drive more than a few fast vehicles over the years, but none felt as fast as this SVHO WaveRunner. Maybe it was the lack of suspension, or the wetsuit I was wearing on a 12-degree October day in two- foot waves, but more than likely it was FX Cruiser SVHO’s mind blowing acceleration. 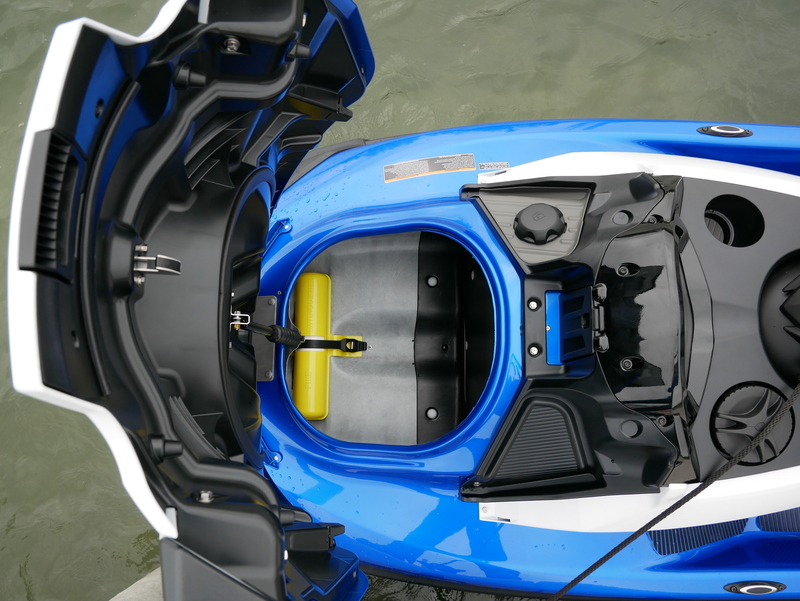 This performance is due in part from Yamaha’s lightweight NanoXcel-2 composite material that produces some of the lightest and strongest hulls on the market. Their most powerful 1.8-L supercharged SVHO engine is mated to their race inspired 160 mm 8-vane jet pump fed by a top loader intake grate. This all adds up to Apollo mission-like acceleration when the throttle is squeezed. They call this a “cruiser”? It’s more like a cruise missile, if you ask me! The super stable cruiser hull with beautifully sculpted seats turns like a sport boat, thanks to the full keel, multiple strakes and stepper sponsons. It has plenty of storage, including two water-tight bins, one of which is removable. 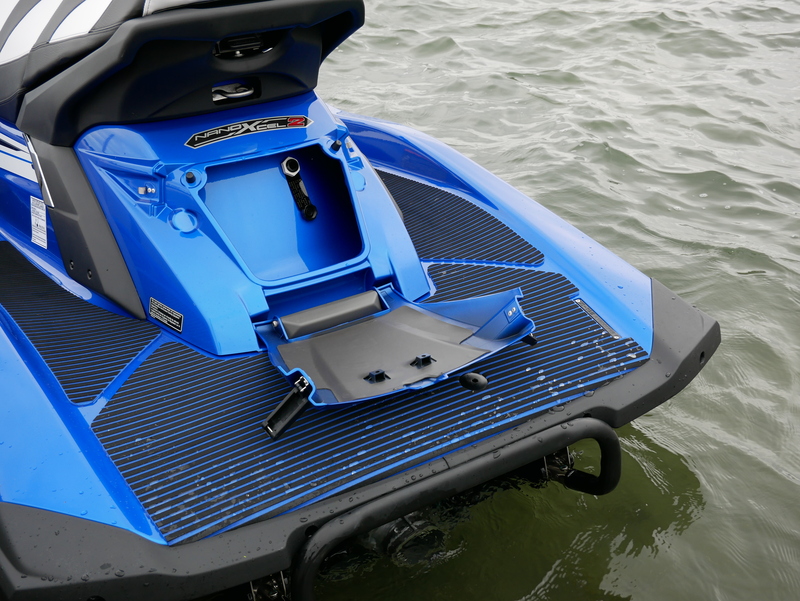 A spring-loaded flip-down re-boarding step is standard, along with tilt steering and retractable cleats. 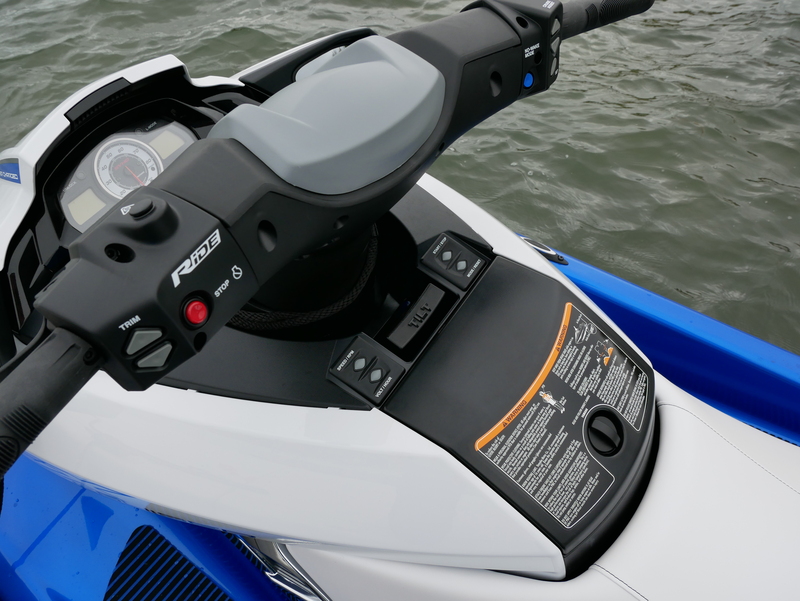 Yamaha’s Cruise Assist reduces rider fatigue by setting and adjusting the desired speed while maintaining the most comfortable throttle position. The benefit is a smooth throttle and more relaxed grip on the handlebars. No Wake mode is similar, but holds speed to around five miles per hour. With the push of a button, electronic trim makes adjustments without having to struggle against nozzle pressure. Even more remarkable is the left-hand lever connected to Yamaha’s RiDE system, or Reverse with Intuitive Deceleration Electronics. Pull the right lever to go forward and the left lever to reverse. Tap the left lever once for neutral. You can still pivot with the steering inputs. On plane, the system can be used to safely slow down while maintaining steering. It’s phenomenal because it is so intuitive and easy to use. 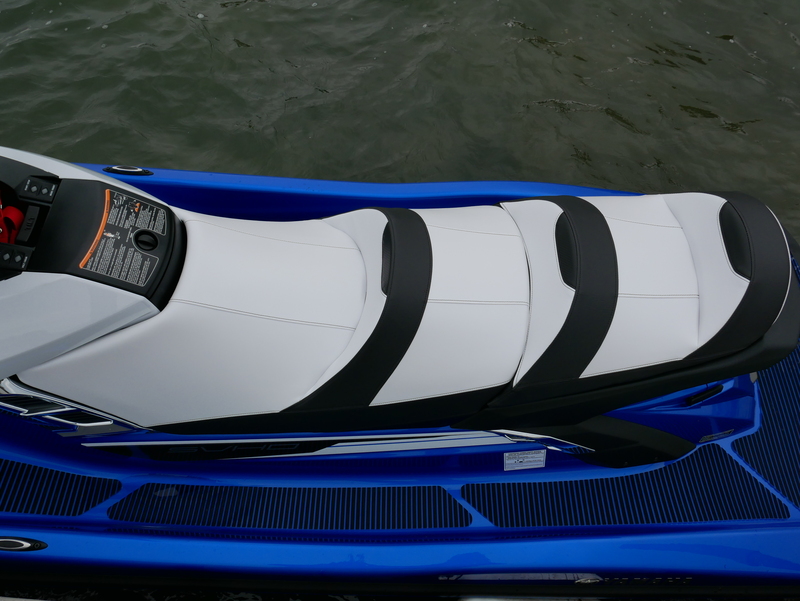 This WaveRunner is featured in the 2018 season of PowerBoat Television.